Before our doors first opened, a lot of research and hard work went into making sure that Bee Me Kidz would be something very special and very unique, something that would measurably and positively transform the lives of children, families and communities. 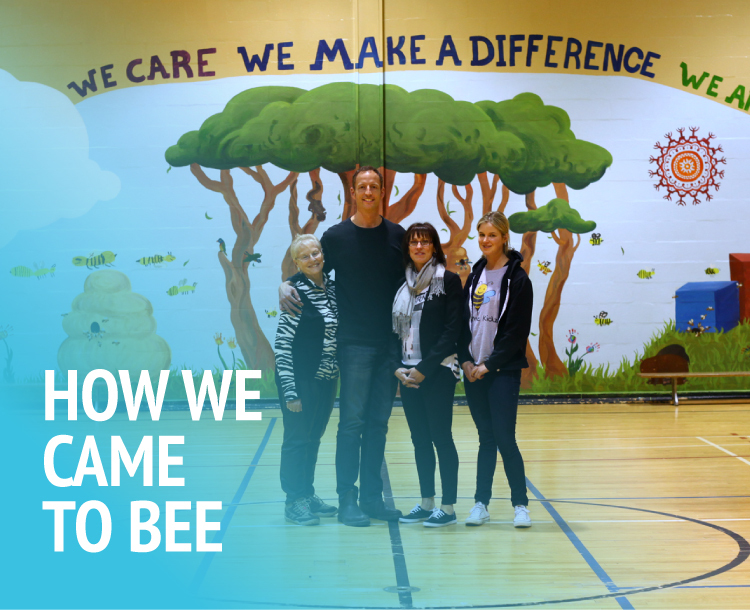 In March 2014, Bryan Elliott, Victoria Elliott and Melissa Bewick began planning the Bee Me Kidz program. Combining their own experiences with programs for underprivileged children with a study of other existing programs, they analyzed what worked and what didn’t work as well as it could. Based on the best practices uncovered in this research, the beginnings of Bee Me Kidz were born. From the outset, the goal was set that Bee Me Kidz would be unlike any other program of its kind. It would be based on a combination of heart and science – a sincere passion for helping children married with a desire to measure the program’s ability to improve the lives of the participating kids and families. Bee Me Kidz opened its doors for the first time on September 20, 2014 at the Nick Nicolle Community Centre in Saint John’s North End with 28 grade one and grade two aged children and 20 parents attending. Kids and parents seemed to sense from the beginning that Bee Me Kidz was something different, and word spread in the community. Soon the numbers began to swell as new kids and families heard about the program. The success of Bee Me Kidz grew steadily and on January 24, 2015, a second location opened at St. John the Baptist/King Edward School in the South End. In 2016, our third and fourth locations opened at Beaconsfield School and Glen Falls School. Today, more than 1,000 kids, parents and family members attend our four locations each Saturday. Feedback from the Parents’ Group and schools has also been extremely favorable. In September 2015, Bee Me Kidz expanded again to include children in grade three. As Bee Me Kidz’s success continues to grow, it will expand further to include children of other ages and in other locations. Bee Me Kidz will continue to evolve and improve as we learn from our results and listen to the valuable input of our kids, their parents/guardians, our staff and schools/teachers. The one thing that will never change is our passionate belief that children from disadvantaged backgrounds have much to offer the world if given the opportunities that other kids have to learn and thrive.